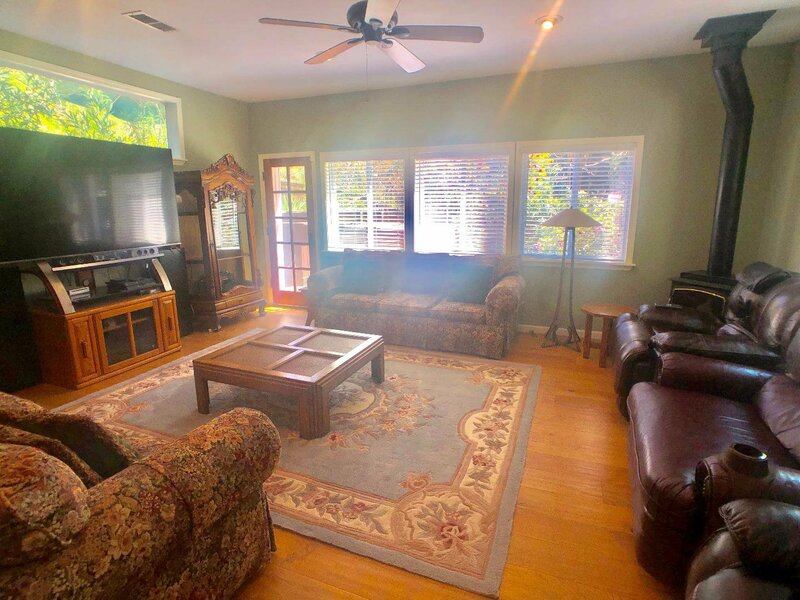 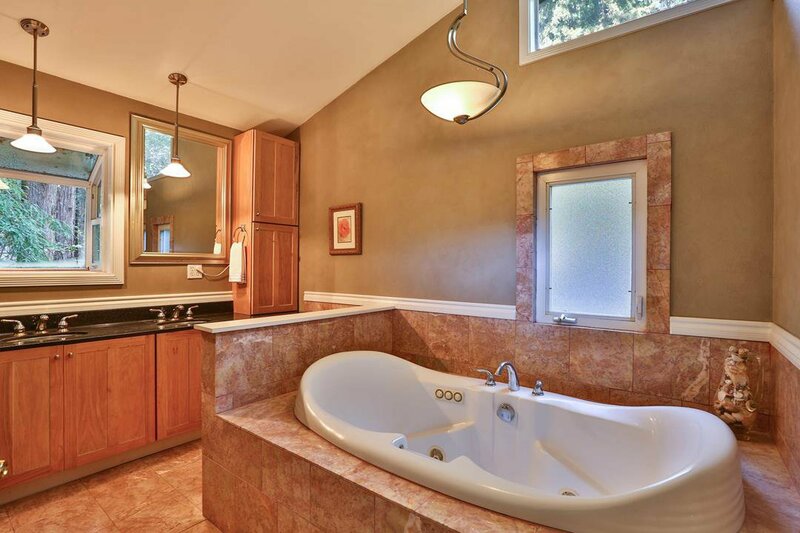 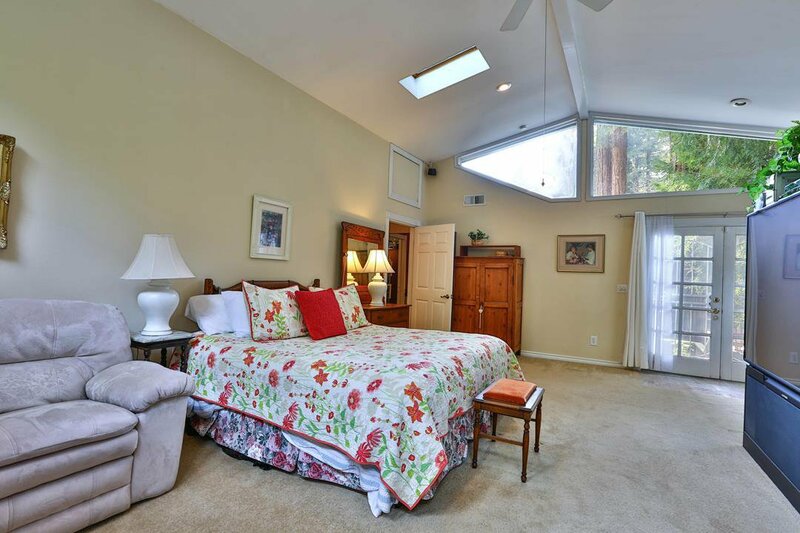 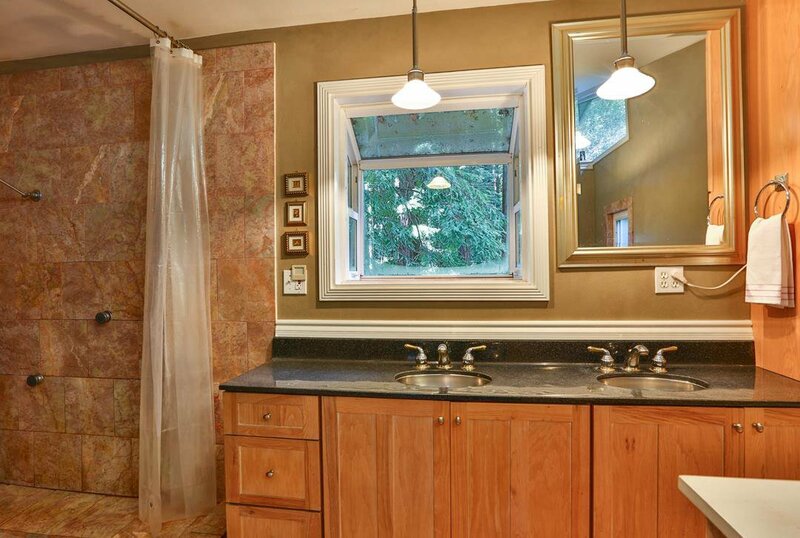 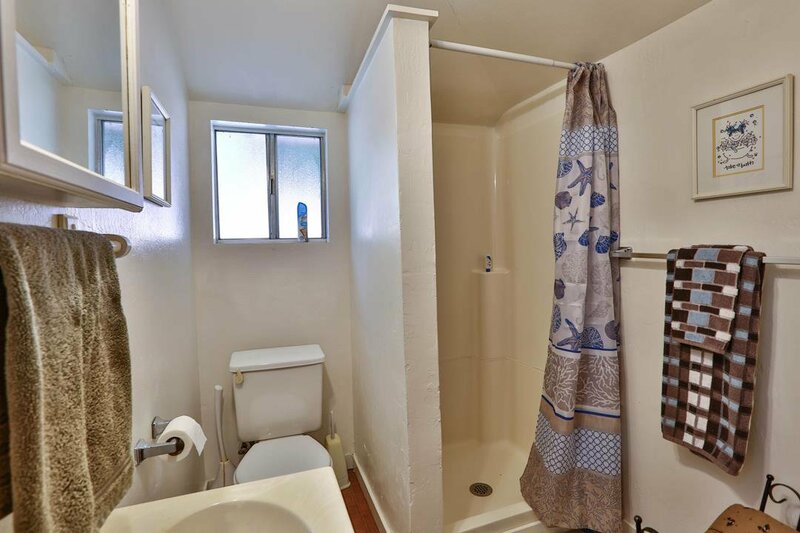 Your private sanctuary in beautiful Boulder Creek. 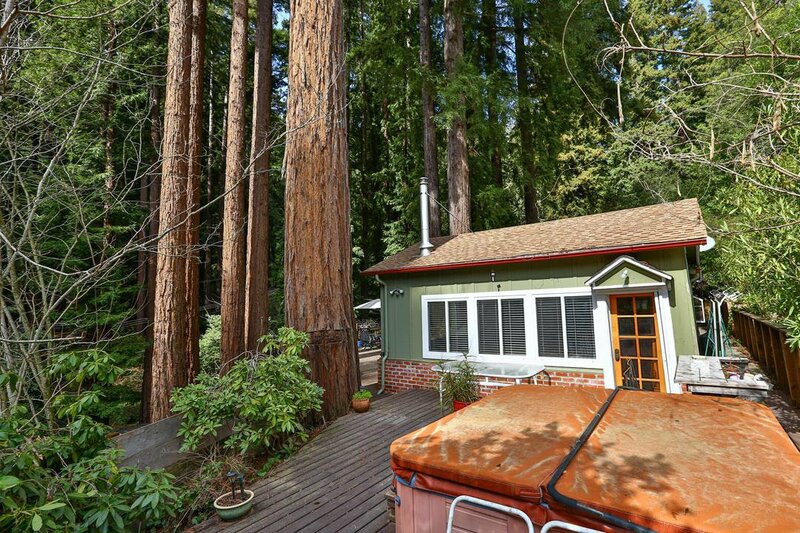 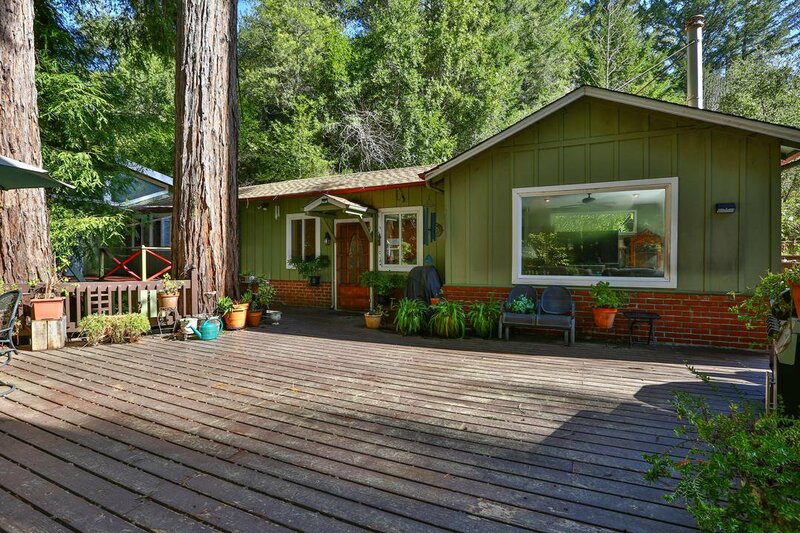 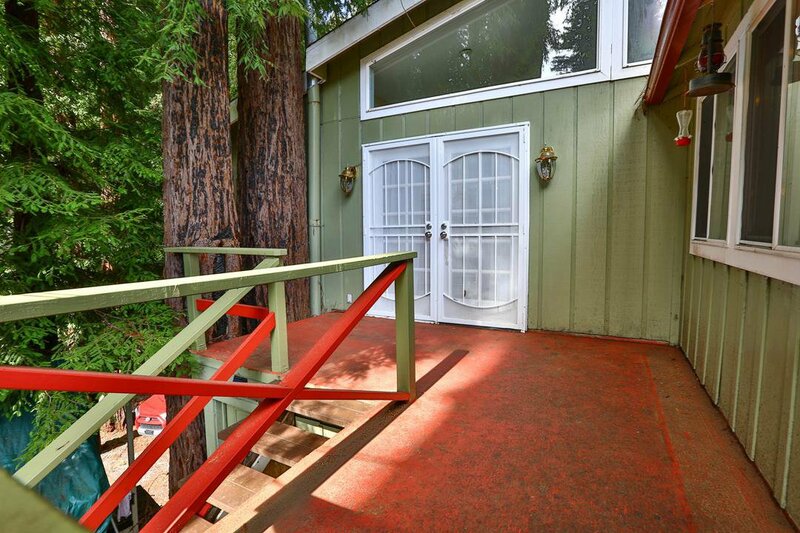 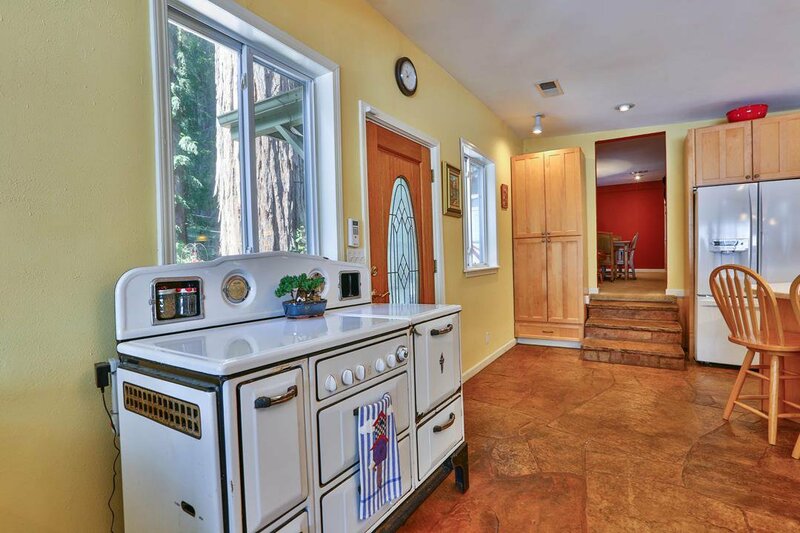 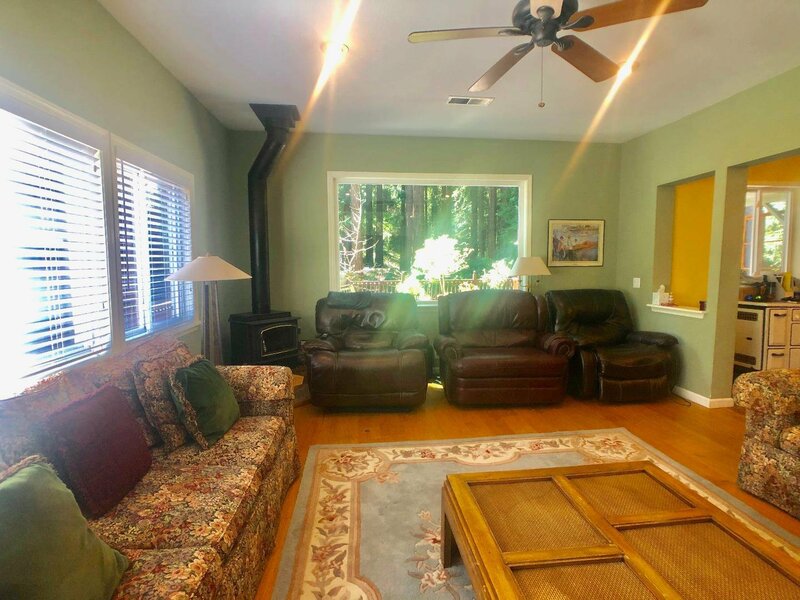 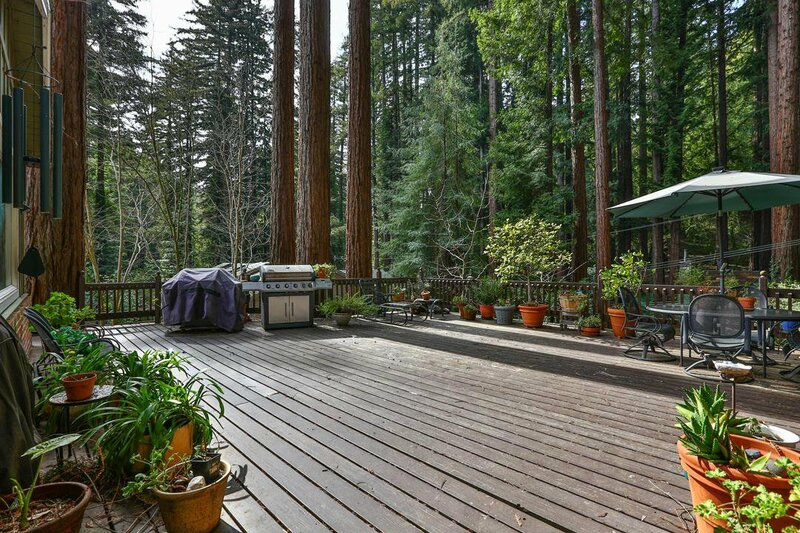 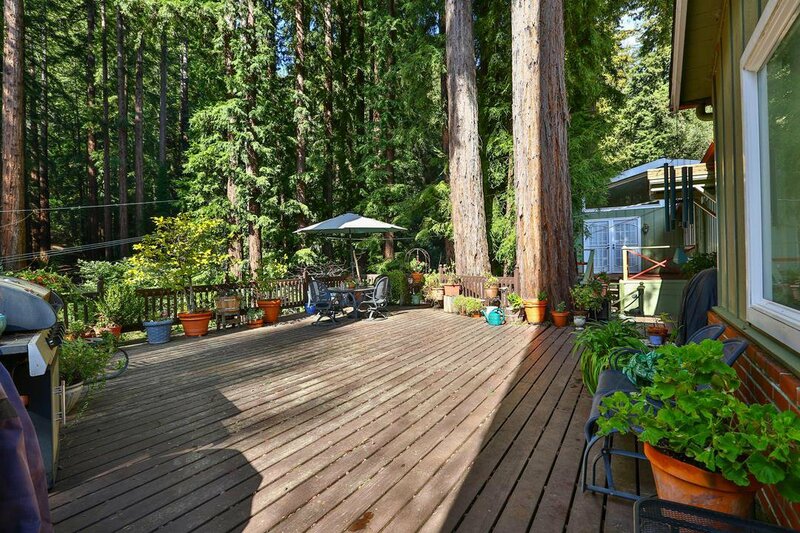 Sunshine is pouring down through the majestic redwoods into this home giving it a truly warm feeling. 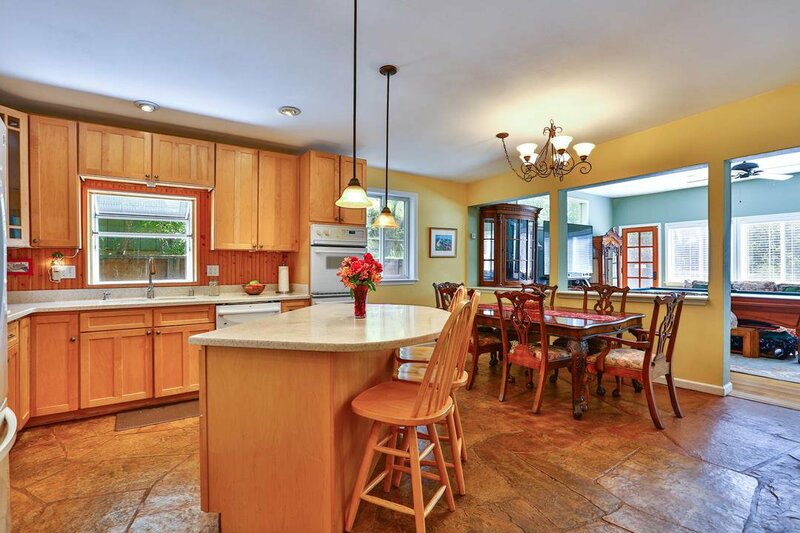 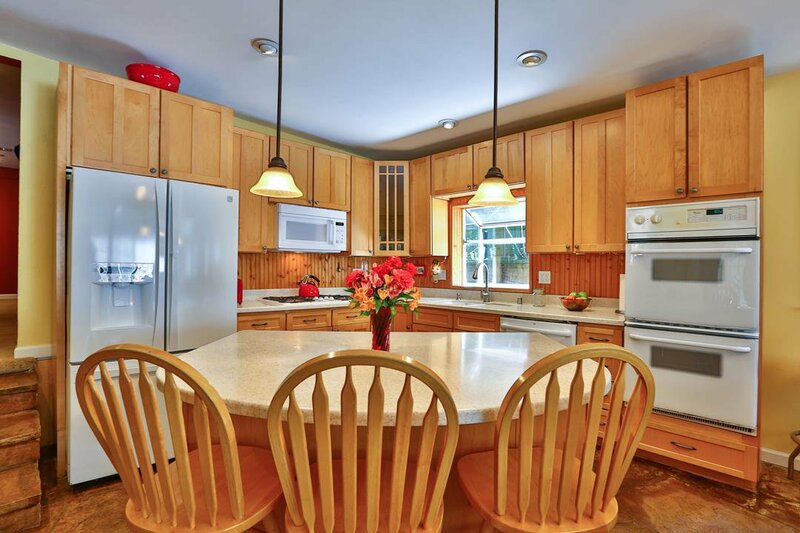 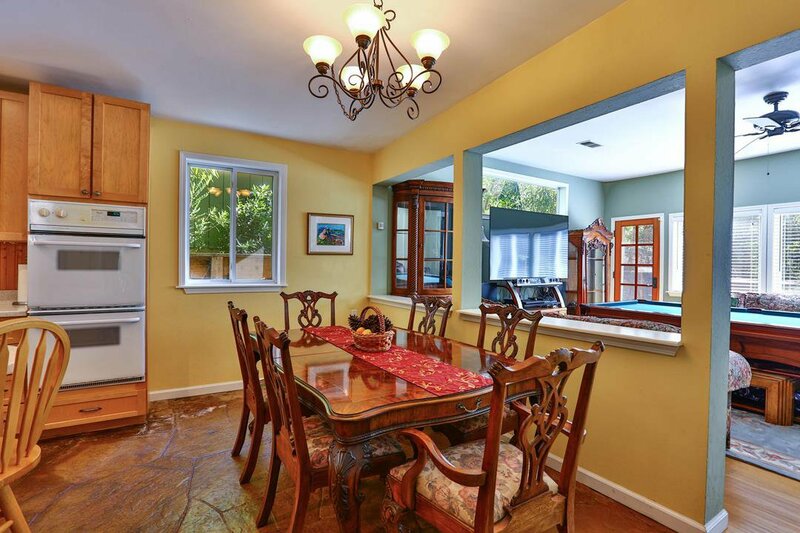 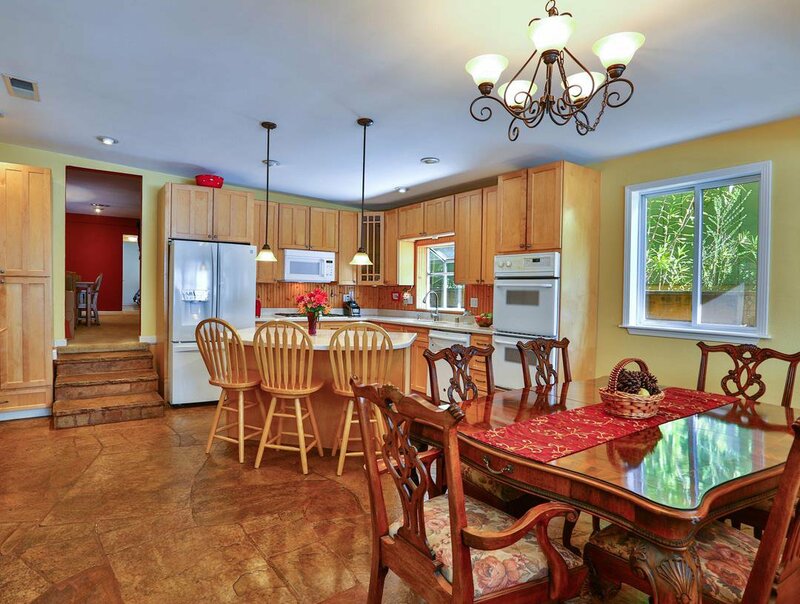 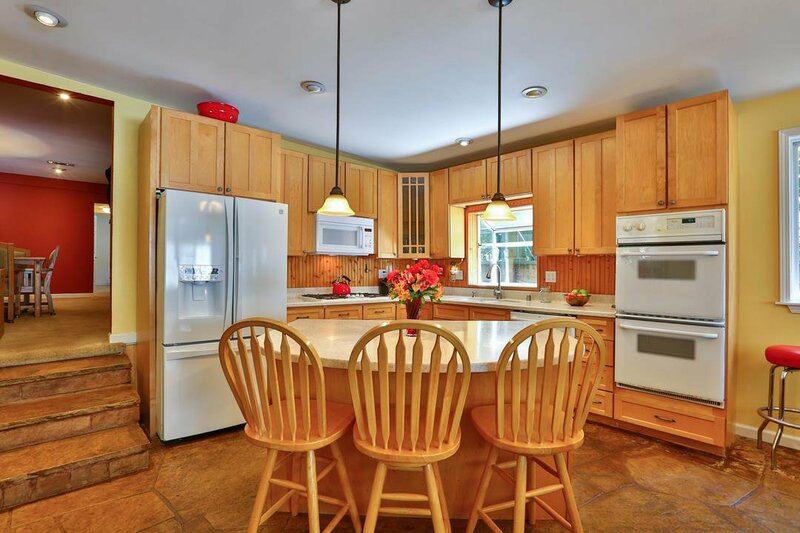 Highlighted by expansive decking, a hot tub/bar area for outdoor entertaining, and ample parking. 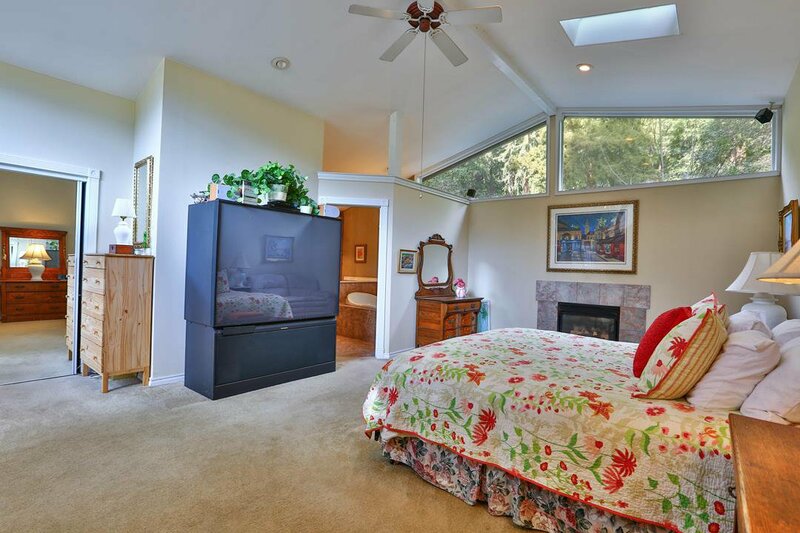 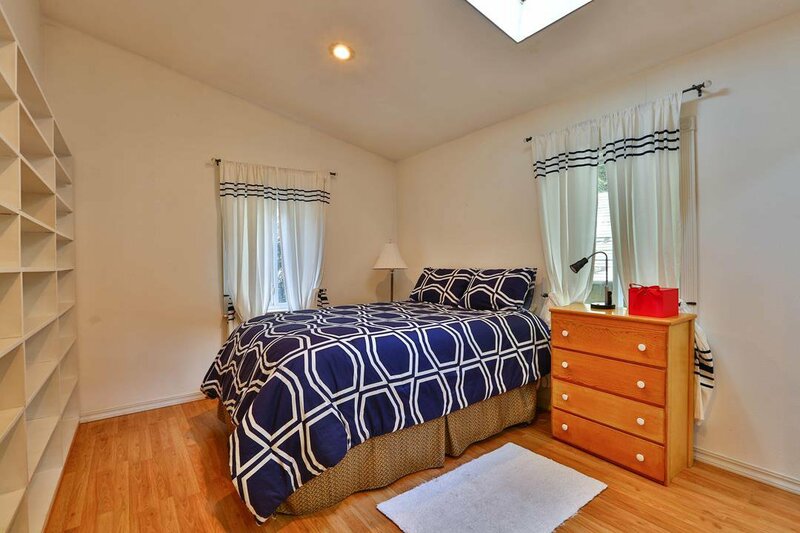 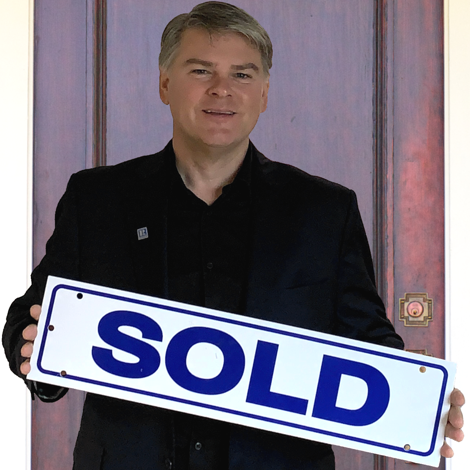 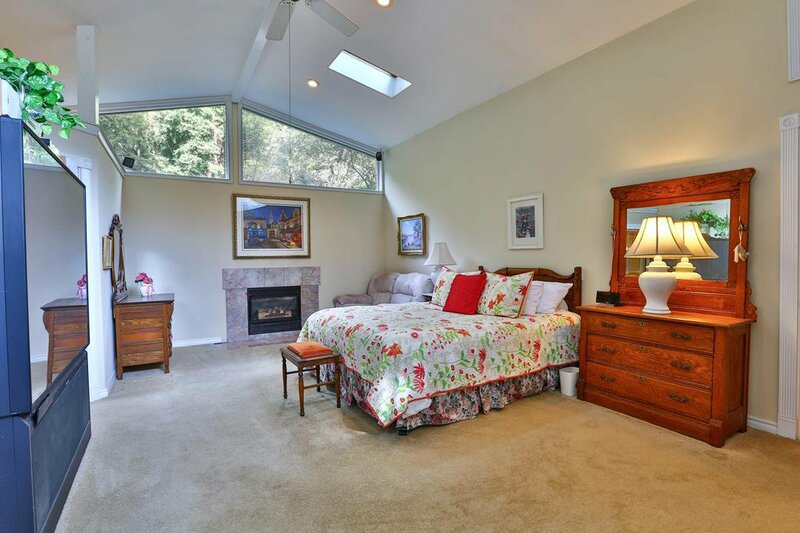 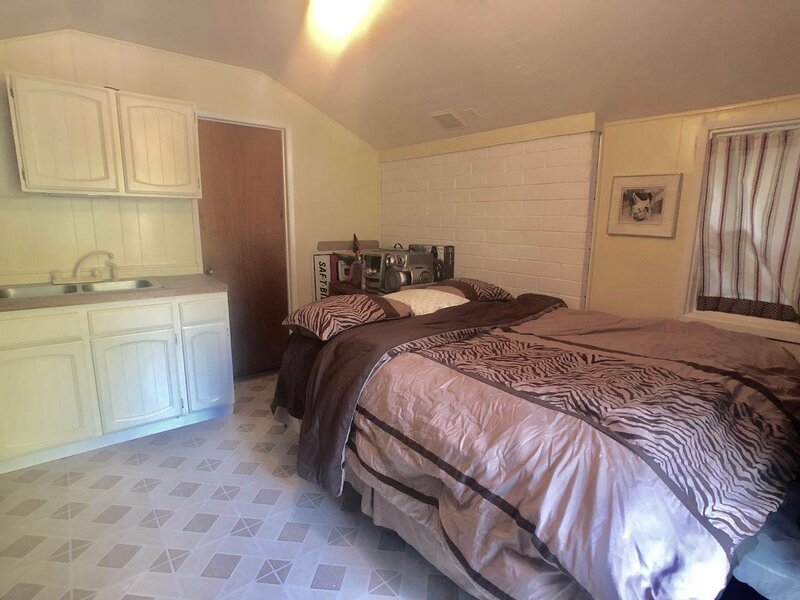 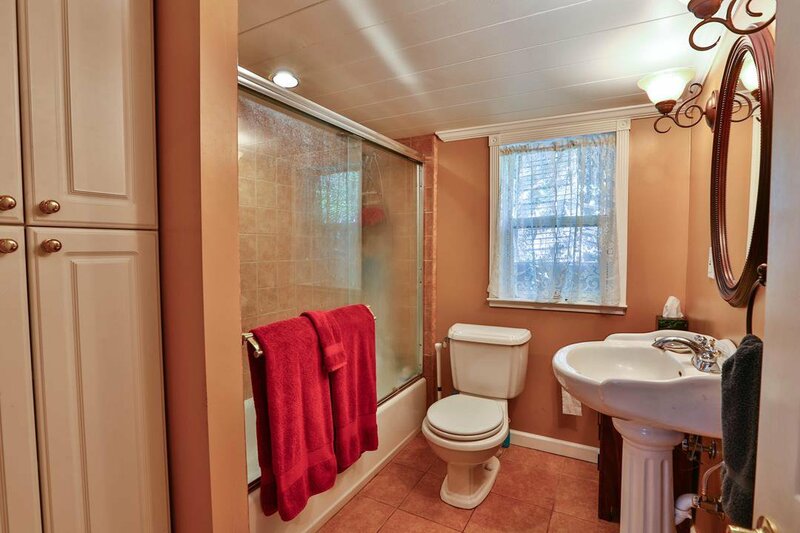 The master bedroom boasts a jet tub, fireplace, skylight, views and a patio. 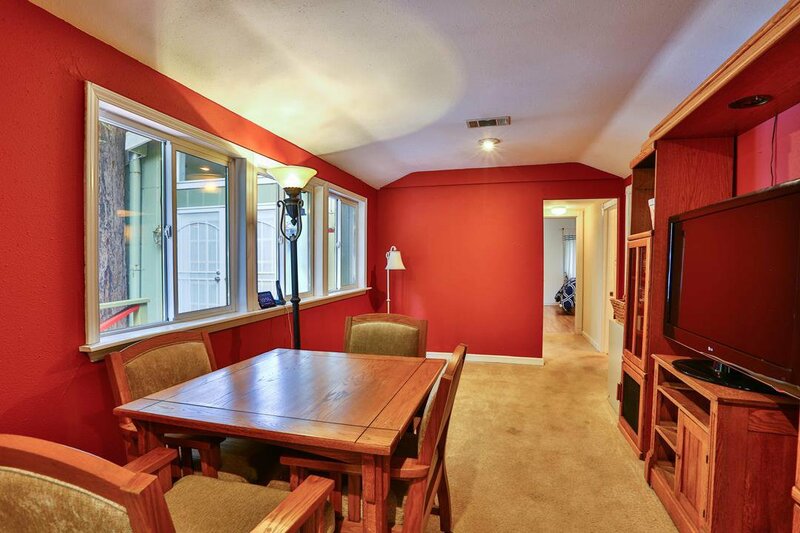 A sunny garden area draws you down a path to the bonus room/art studio. 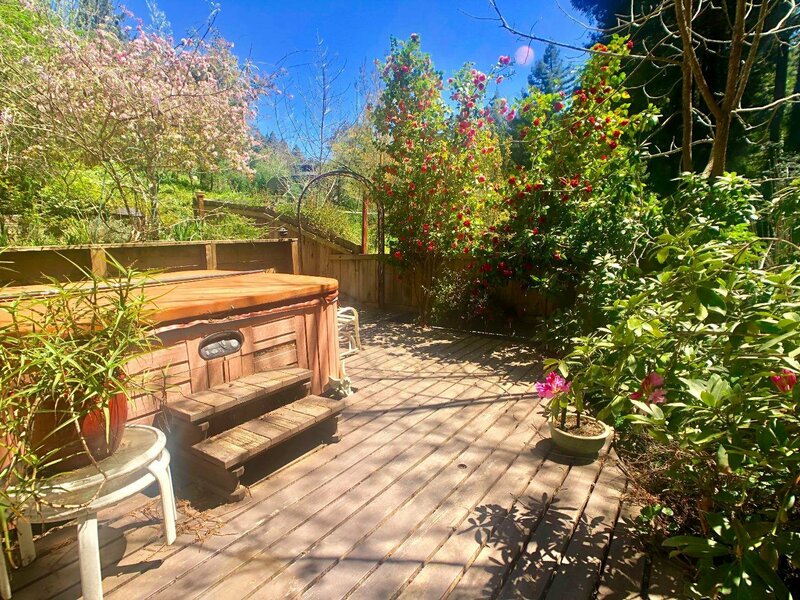 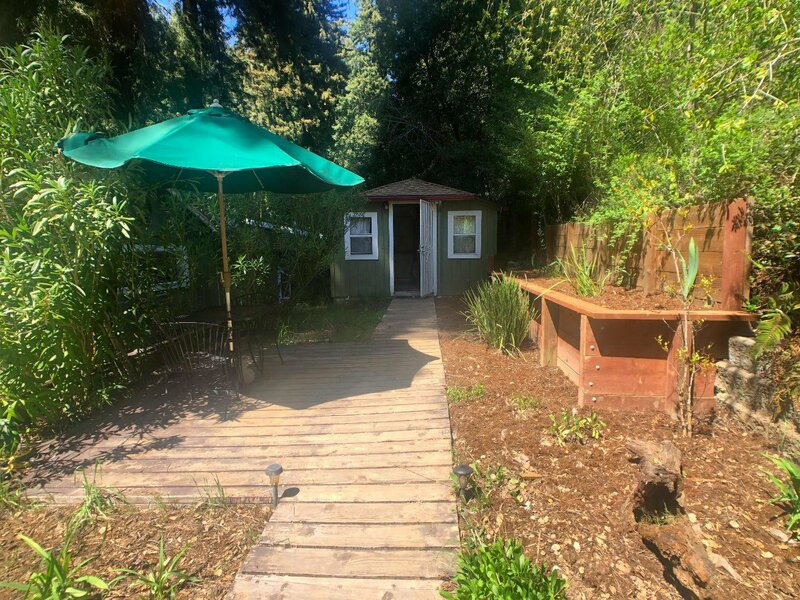 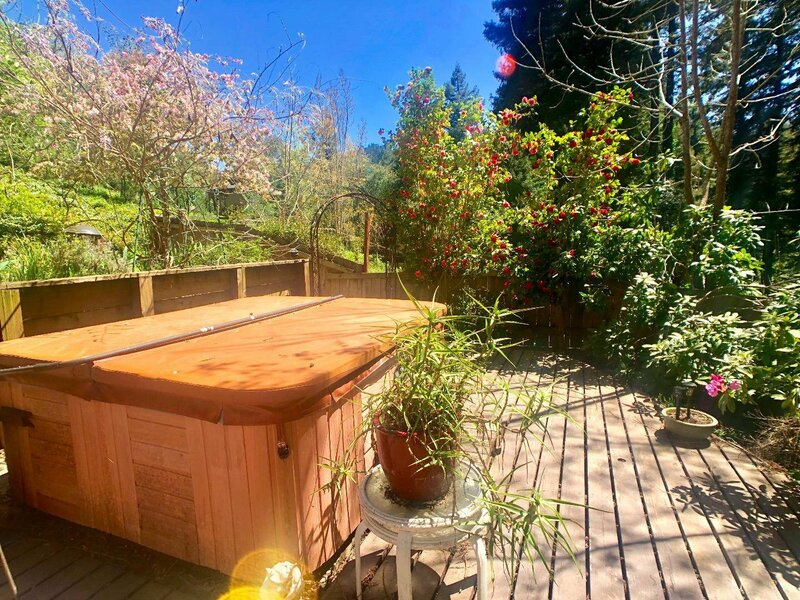 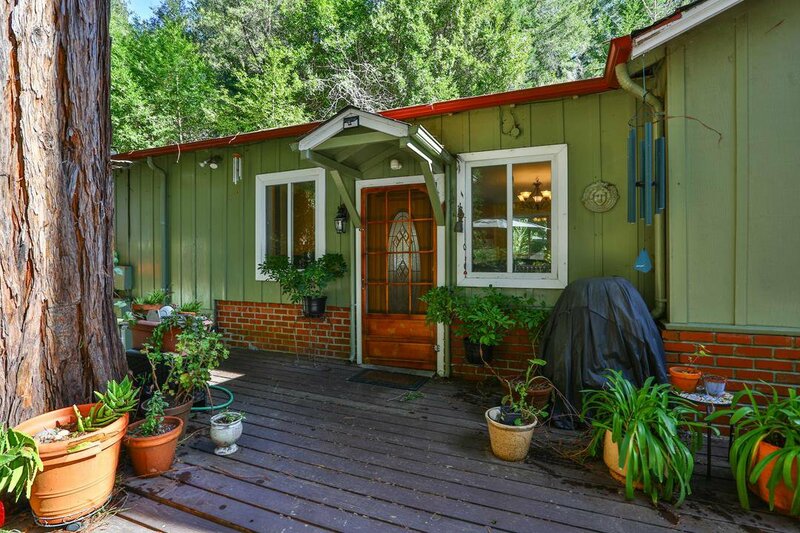 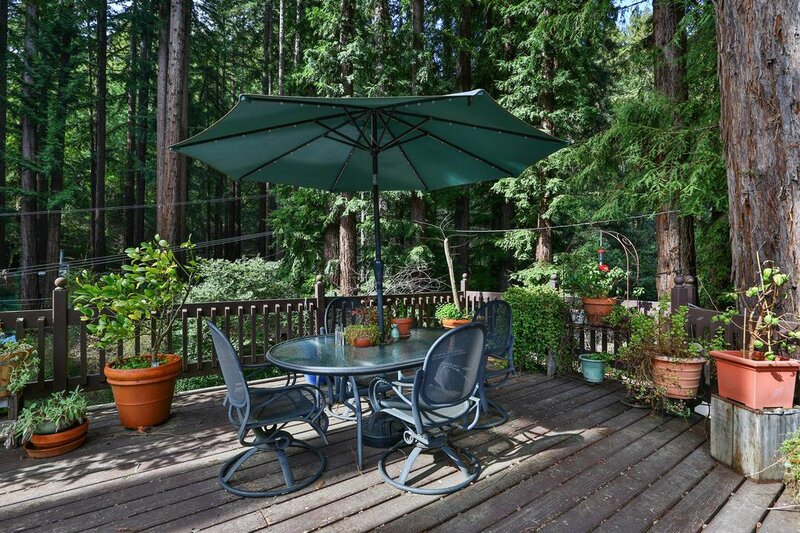 Great commute location, about 30min from Downtown Santa Cruz and the Silicon Valley, minutes from Boulder Creek Golf and Country Club.